It's time to face the music. 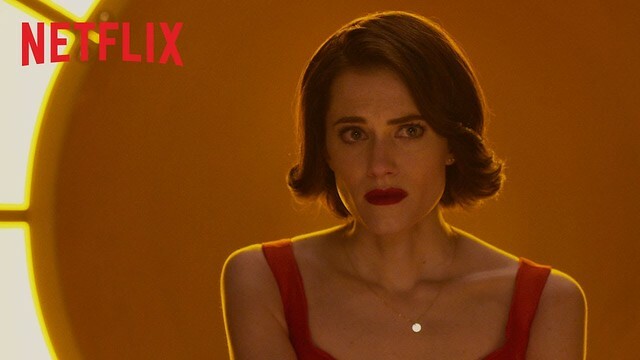 Watch The Perfection only on Netflix on May 24, 2019. A troubled musical prodigy (Allison Williams) seeks out the new star pupil of her former school (Logan Browning) with shocking consequences in this elegant and terrifying suspense ride, the most buzzed-about movie at last year's Fantastic Fest. This just looks twisted and wrong. I love it. Does look pretty good, first I'm hearing of it. Then again, Netflix has so many different movies coming out it's unreal. I think this is another one they scooped up at a film festival. As you said, it's something new every day. Not interested in this kind of film. Just...ugh. Enjoy! lol. Netflix has so many different movies coming out it's unreal. Damn, that does look good. I'd watch it right now if I could. You guys are just hoping Lena Dunham makes a cameo. Picture a woman whose inner feminazi displays itself in both internal and external ugliness of an order that compels her to disrobe frequently and demand others pretend to enjoy it while simultaneously reminding yourself that you're a body shaming male-gaze misogynist, lol. Picture a woman whose inner feminazi displays itself in both internal and external ugliness of an order that compels her to disrobe frequently and demand others pretend to enjoy it. Oh, for a moment there I thought you were describing Lena Waithe.